Have your trailer repaired properly with toy hauler, delivery truck, and horse trailer repair services from our company in Sparks, Nevada. Sparks Trailer Repair offers more than semitrailer repair services. 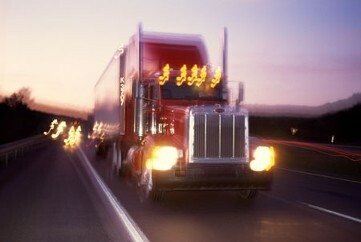 We also offer delivery truck, horse trailer, and toy hauler repair services. Contact us with questions about our services. To ensure the safety of your horses, we always check the flooring and lighting in your horse trailer. A few our horse trailer repair services include brake, S cam, brake pad, and hinge and latch repairs. We also grease the bearings to ensure smooth travel. With our toy hauler repair services, we take care of everything, from greasing the bearings to checking the brakes and the lighting systems. We also make sure all latches and hinges are working properly. Furthermore, we check all electrical wiring as well as brakes and cams. Our repair services for delivery trucks include bobtails and 16-foot trailers. We also provide repair services for Budget®, Penske®, & Ryder® brand box trucks. Like our semitrailer repair services, we check the entire trailer, ramps, and lift gates. We also make sure all bearings are greased and take care of any repairs to make sure you have no issues while on the road. Call us today at (877) 627-3665 in Sparks, Nevada, for further information about our horse trailer and toy hauler services.